Smiles on the Upper Westside provides TMJ disorder treatment in NYC. Call 212-222-5225 to schedule your first appointment. TMJ, or temporomandibular joint disease, is a complex and progressive disorder. Over time, TMJ can permanently damage the jaw and its supporting structures. When treated early, though, TMJ can be halted and reversed. The temporomandibular joint acts as a sliding hinge between the jawbone and the skull. Heavily cushioned by discs and cartilage, it normally operates effortlessly. When it is out of alignment, though, TMJ is often the result. TMJ can be triggered by many factors, such as jaw trauma, hormonal fluctuations, anxiety, and even ill-fitting dentures. For most people, the root cause is not entirely clear. However, regardless of the cause, the misalignment in the jaw joint causes pain, popping, and pressure as the jaws attempt to operate. 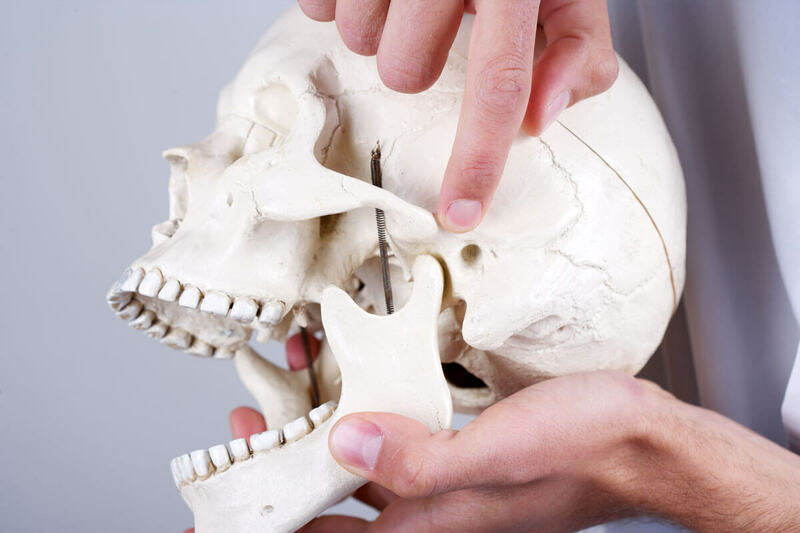 TMJ treatment is highly customized to each patient, but it is always undertaken with the goal of relaxing the jaw and improving the bite. After a thorough examination, we will develop a personalized treatment plan to address your specific challenges. You may need multiple visits, depending on the complexity and the severity of your individual case. Whether you are referred for physical therapy or not, it is extremely important that you become an active participant in your own treatment. TMJ is highly personalized, and one patient’s successful treatment plan might be completely wrong for another. It is very important to seek proper diagnosis and treatment as soon as possible, as TMJ tends to worsen over time and can eventually lead to permanent damage. When caught early, though, TMJ need not have a major impact your life.